How to Submit Your eBay Store URL to Bing and Yahoo! One of the first steps to being successful with your eBay business is to get yourself found by internet searchers. You will want your eBay store to appear in search results on major search engines. You will find that dealing with certain webmaster tools entails a fairly strong learning curve. So if you just want to get your site in line to appear in Bing’s search, you will need to submit your site to Bing first. The simplest form on the Internet appears. Just type in the URL of your homepage, type in the captcha code you see, and you are good to go. To be listed on Yahoo! it takes a bit more effort. Bing has taken over the submission chores for Yahoo!. Things will get a bit complex here. 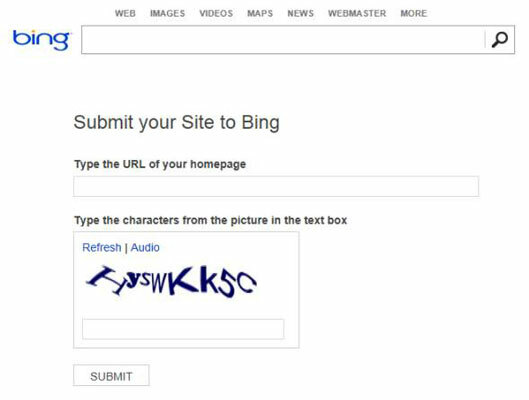 So to get yourself found on Bing or Yahoo!, you need to sign up for Bing webmaster Tools. By signing up here, you will be able to improve your site’s performance in both Bing and Yahoo! searches. It’s always a good idea to do routine searches of your eBay business on these search engines to see how far up the search results page your business appears.